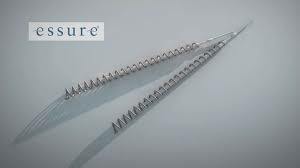 The contraceptive Essure appears to have objective side effects. The North American FDA has received 5,093 complaints of such effects, although complainant groups state that more than 25,000 women have suffered some effect, such as persistent pain, perforation of the uterus or Fallopian tubes, abnormal bleeding, allergies, hypersensitivity reactions or lack of concentration, followed by unintended pregnancies. Essure works by the insertion of nickel/titanium rings containing polyethylene fibre in the Fallopian tubes, causing a fibrotic reaction that obstructs the tubes (BMJ 2016; 352: i1283 doi: 10.1136/bmj.i1283, published 3 March 2016). La entrada Essure. Negative side effects of this contraceptive aparece primero en Observatorio de Bioética, UCV.